Whitley 4th October 2013. Jaguar Land Rover UK is celebrating record September sales with retail figures up 13 per cent year-to-date over the same period last year. Land Rover had its best ever September month of sales with 10,769 vehicles registered; up 11 per cent on the same month last year and 13 per cent up year-to-date. The bookends of the brand drove the impressive figures with a record September for the Land Rover Defender (up 30 per cent compared to the same period last year) and continued strong sales of Land Rover's flagship vehicle, the all new Range Rover (up 24 per cent compared to the same period last year). The Range Rover Evoque continues to be successful (up 35 per cent September 2013 versus September 2012) and the new Range Rover Sport has made a strong start with sales of 1,309 vehicles during what is only the second month of customer deliveries. Monthly retail figures for Land Rover's newest model are set to increase in line with production ramp-up and will see the UK fulfil its healthy order bank over the coming months. The Land Rover Discovery's popularity remains with outstanding residual values and class-leading versatility keeping sales stable. The Land Rover Freelander continues to have an excellent 2013 with retails up 13 per cent in September and 35 per cent year-to-date. Jaguar is celebrating a 19 per cent increase in car sales year-to-date, with a year on year increase across its model range of seven per cent. The successful launch of the stunning new F-TYPE convertible sports car, of which more than 1,000 are now with UK customers, is one highlight in a year which has seen a surge in sales of the popular Jaguar XF executive car and XJ luxury saloon. In 2013 sales of the XF are up 12 per cent and XJ 6 per cent; a result of the introduction of new, efficient and high performance derivatives of each model. 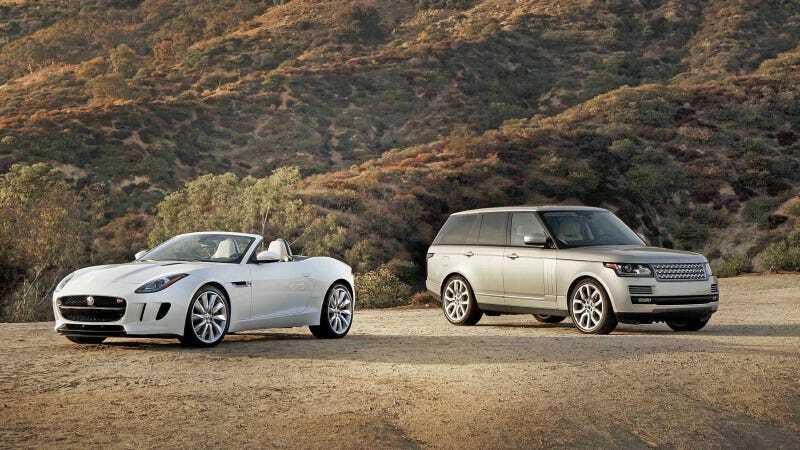 Jeremy Hicks, Jaguar Land Rover UK Managing Director, said “The September sales figures tangibly demonstrate that both Jaguar and Land Rover continue to focus on relevant and highly-desirable product line-ups. “With the recent introduction of the all-new Range Rover Sport and F-TYPE coupled with the continued success of our well established models, we have seen more new customers than ever purchasing Jaguar Land Rover award-winning products. Indeed, our new 2014 model year offerings across both brands will be hitting showrooms shortly and will see us build on the successes of the 2013 range."